The question of whether additional gun rights or gun controls are needed in Oklahoma and the nation will be the topic at a public forum in Oklahoma City on April 23. The free forum, titled “The Gun Debate,” is being sponsored by Oklahoma Watch and will be held from 6 p.m. to 7 p.m. at the Oklahoma History Center, 800 Nazih Zuhdi Dr., just northeast of the State Capitol. Panelists will include Don Spencer, president of the Oklahoma Second Amendment Association, and Andrea Stone, an Edmond leader with the Oklahoma chapter of Moms Demand Action for Gun Sense in America, part of the national group, Everytown for Gun Safety. Oklahoma Watch Executive Editor David Fritze will moderate the discussion, and questions from the audience will be taken. Guests are encouraged to register online at this link. 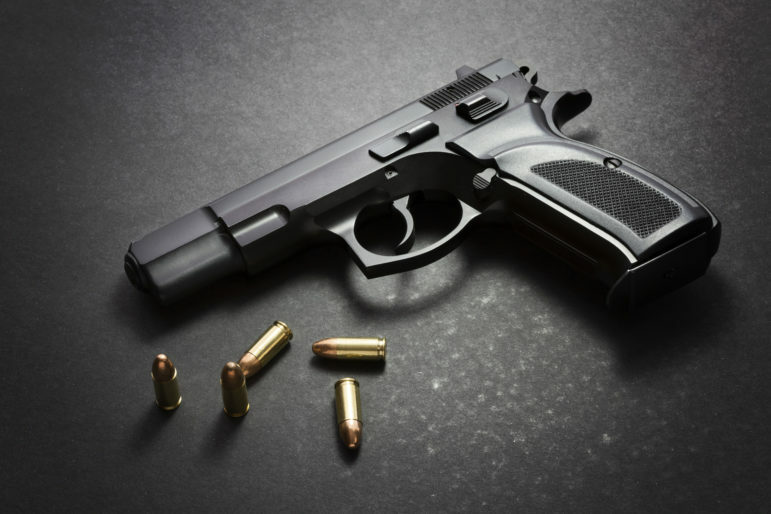 The availability and uses of firearms, and the rising levels of gun violence after years of decline, have become one of the most divisive issues in the country today. Polls show that most Americans favor stricter gun laws, but in Oklahoma advocates of fewer restrictions have won victories in the Legislature. The most recent one is “constitutional carry,” allowing adults, with some exceptions, to carry a firearm without a permit. What else are gun-rights advocates seeking? What do gun-control supporters see as achievable? What exactly is the law now on where guns are allowed? Andrea Stone is active in Oklahoma politics, having campaigned for local and federal candidates supporting more gun controls, and serves as her precinct’s chairperson. She became more involved with Moms Demand Action after after the shooting at Marjory Stoneman Douglas High School in Parkland, Florida. She works in human resources for an energy company. Don Spencer is a lifelong resident of Oklahoma and became president of the Oklahoma Second Amendment Association in 2016. He is a firearm instructor certified by the Council on Law Enforcement Education and Training and is licensed to be an armed security guard.